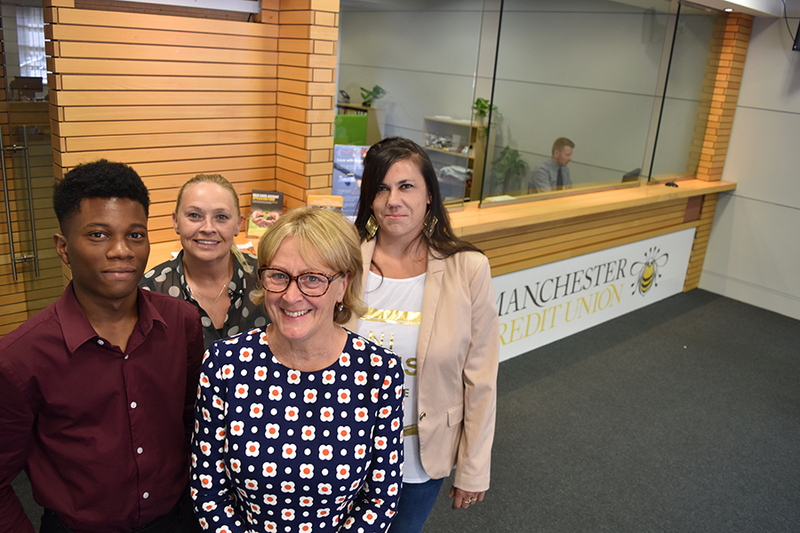 MANCHESTER Credit Union has moved to a new city centre office – marking a growth for the business and an upsurge in demand from customers. The new premises, at 24 Queen Street, Manchester has allowed for five new members of staff to cope with demand from new membership. Since 2000 Manchester Credit Union has lent more than £60million to members living or working in Manchester, and in the last 12 months – from June 2017-July 2018 – 5,915 new savings accounts have been opened, 14,947 loans have been granted totalling £8.8 million and the credit union has saved people more than £5 million in interest. To coincide with the move and increase in business, Manchester Credit Union has launched a Gold Saver account, which is available to individual and corporate members. It has a dividend that is 1.5% higher than the organisations instant access accounts. It is aimed at longer term savers, who seek a higher return as they don’t need regular access to their money. Manchester Credit Union is also making famous friends – getting the support of actor and activist for the End High Cost Credit Alliance, Michael Sheen, who met with CEO, Christine, at the Affordable Credit Showcase in London – and praised the organisation for the impact it is having.